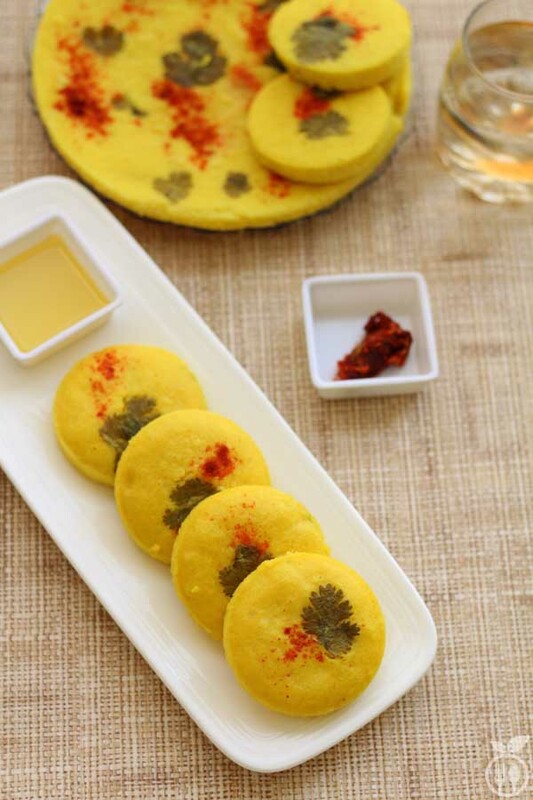 You can explain Gujarati Khatta Dhokla Recipe to any non Indian as “Fermented & Steamed Savory Rice Cake”. It is one of the best recipe for breakfast (or sometime brunch). The base ingredient is rice which makes it very healthy and easy to digest. And before we move ahead let me make one important clarification first! Most of the time people misunderstood “Khatta Dhokla” recipe as “Khaman Dhokla” recipe. Whereas, these both are very different. What is the difference between Khaman Dhokla and Khatta Dhokla Recipe? 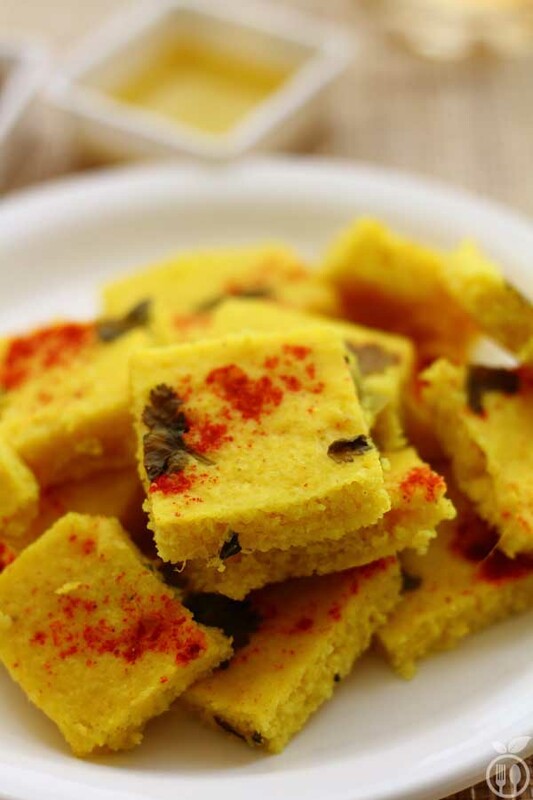 There is a very famous Gujarati snack named Khaman Dhokla which is also known as Besan Dhokla or instant dhokla recipe. 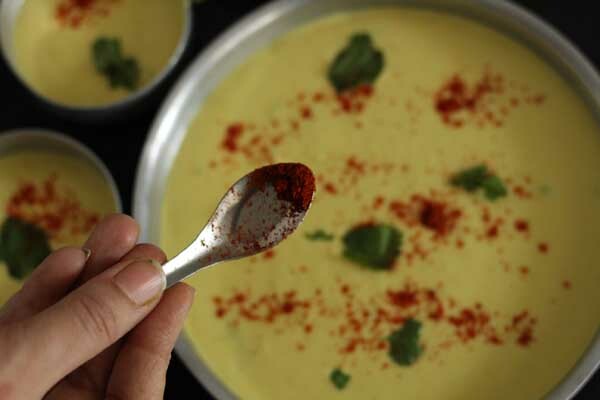 This is simply called “Khaman.” It is made form besan or gram flour or chickpea flour. But traditional Khatta dhokla is made from rice-gram flour. It is steamed, delicious, soft, fluffy, tangy and spicy snack you have ever tried. I am sure if you try this you will become born appetite for this recipe. 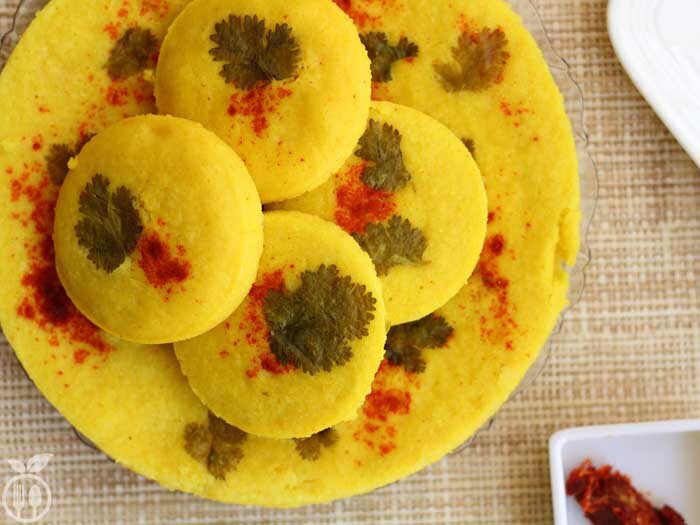 Normally this recipe is made from khatta dhokla flour or dhokla instant mix. 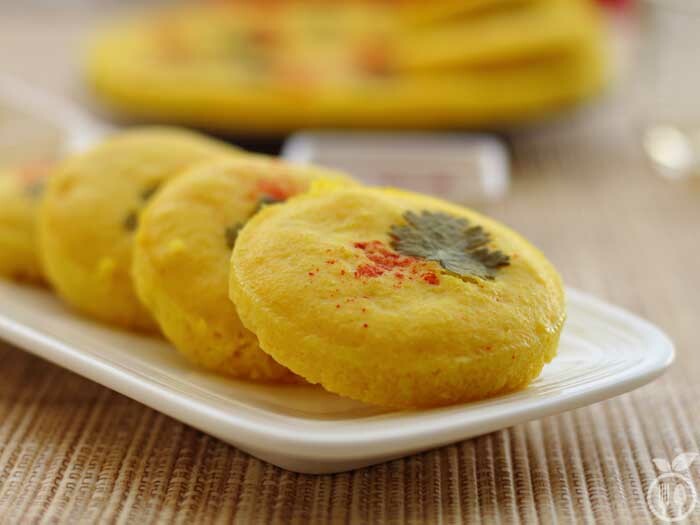 This rice-chickpea flour mixture is easily available in local glossary stores. That gives best traditional taste of dhokla. Typically it is very hard to get this dhokla mix outside India. So here I am going to share my khatta dhokla recipe without any flour or specific mixture. You can make this with handy ingredients at your home. How to make Khatta Dhokla Recipe? I am using rice and check pea lentils instead of flour mixture. This delicious snack required 24 hours for preparation. So if I want it today morning, I need to start preparation before 24 hours means yesterday morning. You need to be precise for measurement of rice and check pea lentils. You require to take 1:2 proportion of chickpea lentils and rice (means 1 cup of chickpea lentils against 2 cups of rice). Then you need soaking rice and chickpea lentils for at least 12 hours in bowl. After 12 hours of soaking, you need to grind roughly and make paste and mix them both now by adding sour curd for fermentation. Cover this mixture with lead and put aside at worm place for again 8-12 hours(depends on weather conditions). 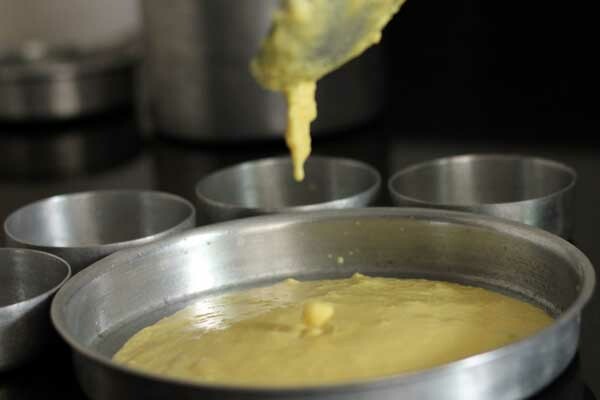 Hence, the time required to prepare dhokla mixture is approx 24 hours. If you have rice-chickpea flour mixture available than you need to follow only fermentation step. Now after waiting for 24 hours, you can make khatta dhokla from that mixture. Then add turmeric powder, salt according to taste. Add ginger, chili paste. 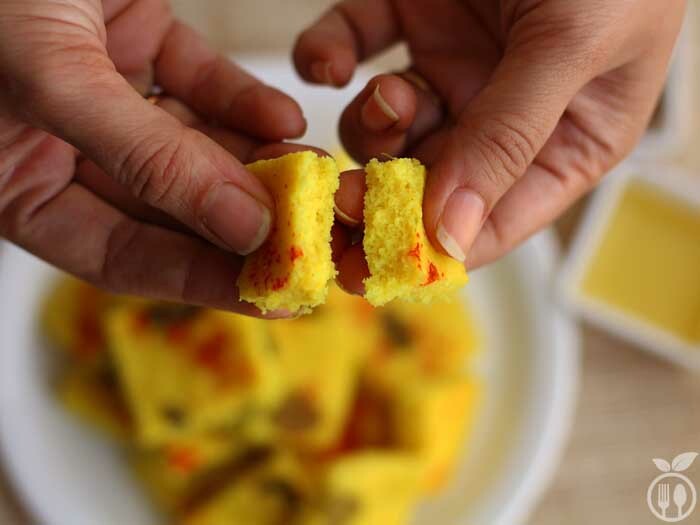 The spiciness of the dhokla is depend on chili paste. Mix all ingredients together and at the time of cooking, add soda or fruit salt or any raising agent. Now grease the plates and pour the mixture into plates. Then add the seasoning like coriander and/or red chili powder. this step is totally optional..
Let them steam into steamer for atleast 10 minutes. Your khatta dhokla is ready to serve. 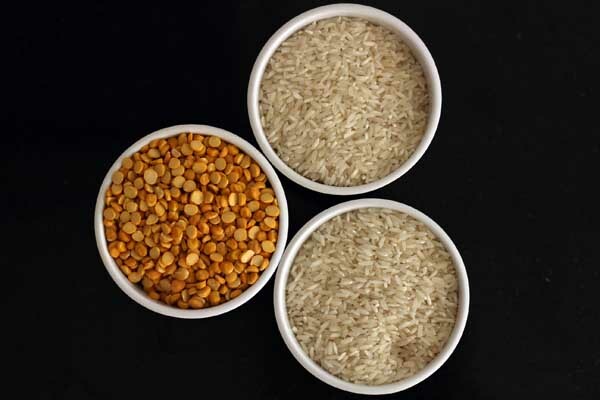 The ratio of lentil:rice must be 1:2 means 1 cup lentil and 2 cups rice. You can use 2-3 tbsp moong lentil or 2-3 tbsp black gram lentil additionally. 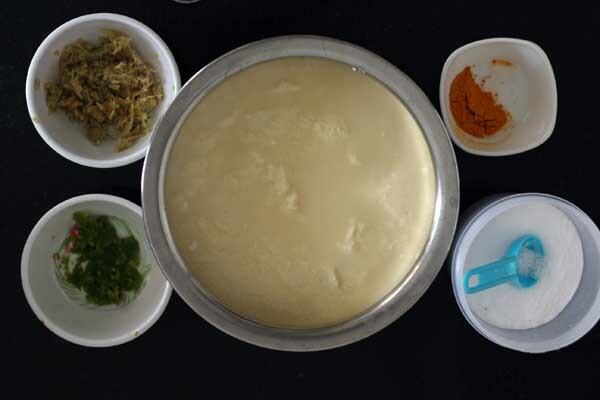 The weather plays key role for making dhokla recipe. during the winter, more fermentation time required. sometimes it will take 12 hours. In summer, I suggest you need to sock the lentils for 4 hours only, then grind them and let them rest for 4-6 hours. 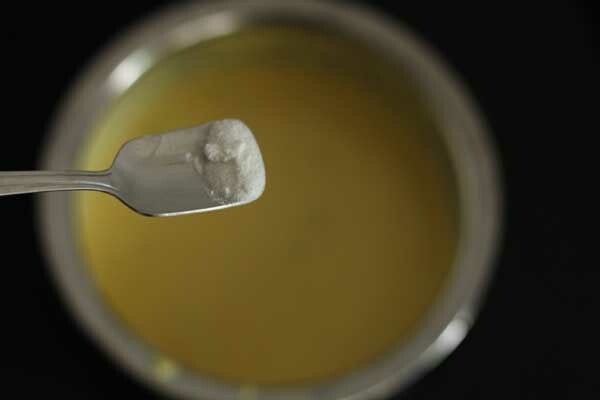 The fermentation is depends on the sourness of curd. during the winter, please use sour curd and give more time for resting. The Khatta means sourness. During the summer, if you are using sour card then 4 hours resting is enough. 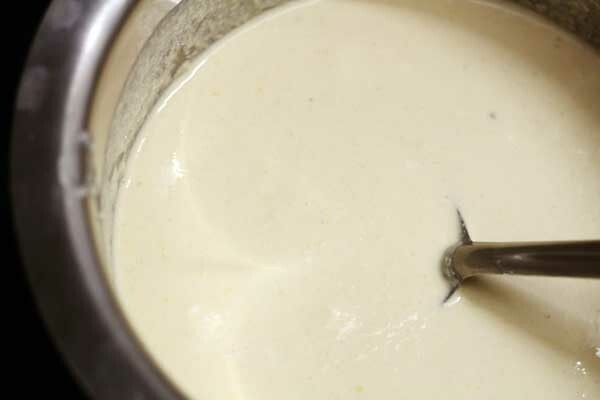 but you are using hung curd or less sour curd then 6-8 hours rest the mixture. For cooking, do all pre-preparation first, then add soda or raising agent at the time of cooking. Take rice and chickpea lentils in bowl. And soak them for at least 12 hours. After 12 hours soaking, grind both ingredients very roughly in grinder. Don't make smooth paste of it. 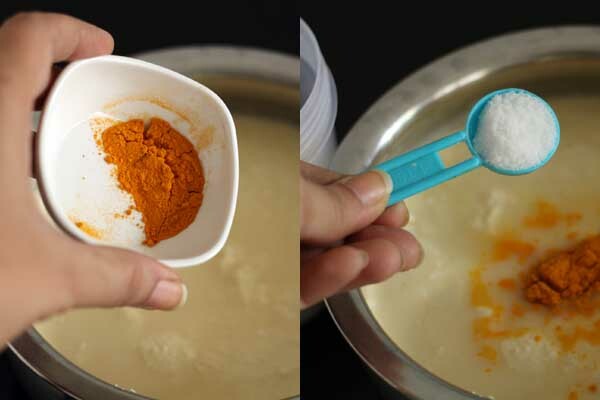 Now add curd into mixture and cover mixture bowl with lid and put it warm place for fermentation for at least 8-12 hours depends on weather conditions. Typically during the summer you require quite less time for fermentation. Now mixture is ready to use. Make smooth paste of chillies, ginger(, and garlic). Add that paste into fermented mixture. Meanwhile boil 2 to 3 cups of water in a electric cooker or pressure cooker or steamer pan. The amount of water to be added depends on the size of the steamer or pressure cooker. Grease a steamer pan with oil. The ingredient which we use to ferment the dhokla batter is fruit salt. Indian brand of fruit salt is eno. You can use baking soda or soda bicarbonate. However baking soda gives the soapy aroma if used in excess. You should add baking soda just before you are ready to steam it. Finally, pour the mixture into greased pan and put coriander leaves at top. Steam it for 10-15 minutes and your dhokla is ready to eat. Serve warm with peanut (Groundnut) oil and garlic paste. 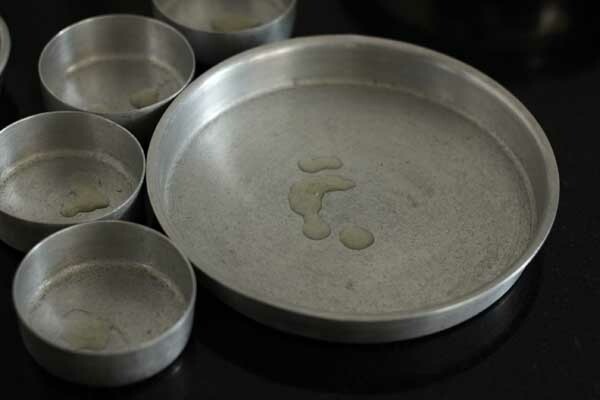 Grease a microwave safe bowl or pan with oil. Pour batter into it and microwave the batter for 5-10 minutes on high. Check the denseness by inserting a toothpick in the dhokla. If not done, then microwave again on high for 30 seconds to 1 minute. Still, if it is not done, then microwave again for some more seconds. Remove the dhokla from the pan and serve as warm. Hii reena. I tried this recipe lots of time. It’s so yummy and one of my favorite. Thank you. Thank you. It is also one of my favorite. Chick pea lentils means chana dal or toor dal. Please clarify. 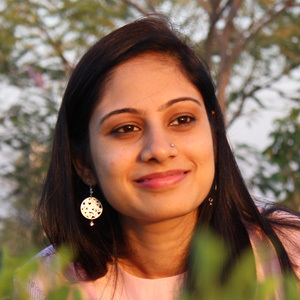 Hi Ruchita, Chickpea Lentils means Chana Dal. as mention in instruction 9. Serve warm with peanut (Groundnut) oil and garlic paste.I think you want to say peanut garlic chutney?This type of dhokla does not need oil and mustard seeds tadka? Hay Prashant, In my blog post, at very first, I have given difference between dhokla and khaman. 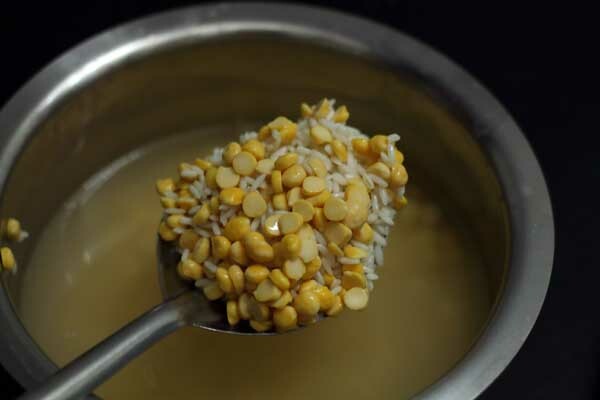 you were talking about “khaman” which required tadka of oil and mustard seeds. Many people misunderstand dhokla with khaman, so as you. We eat only steamed dhokla with some oil and and some garlic paste or chutney, please don’t confused with peanut garlic chutney. 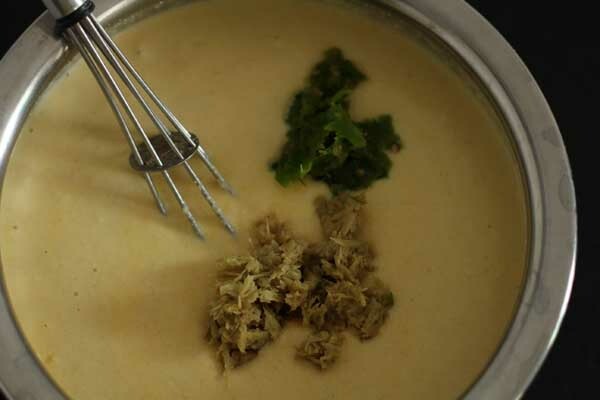 The garlic chutney is just garlic paste with pinch of salt.You can try this combination. Superb explanation of the difference between khaman and khatta dhokla ..loved your recipe..wud give a try .